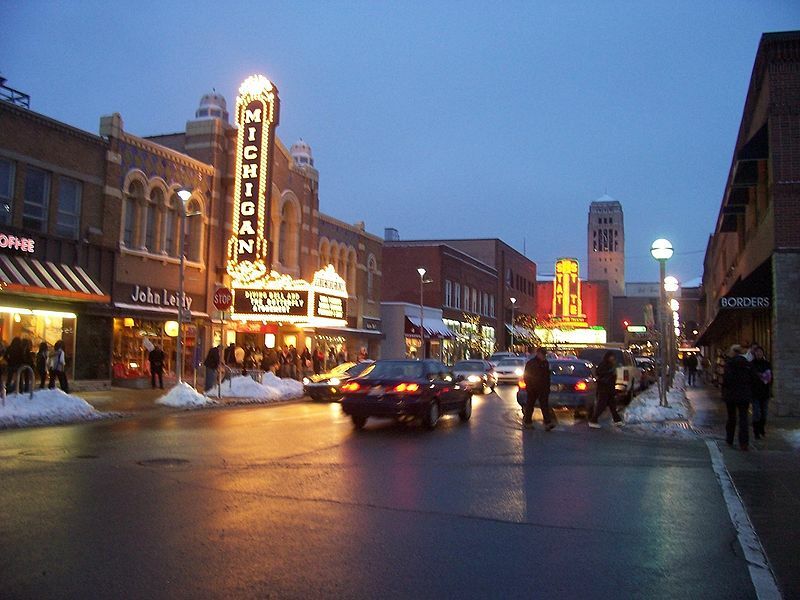 Ann Arbor, Michigan (population just over 115,000) is one of America's most well known college towns. 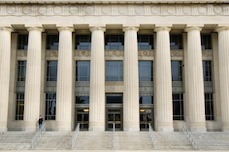 It is home to the University of Michigan, whose 40,000 students permeate the town culturally, economically, and demographically. The city has strict zoning regulations which make life difficult for developers but result in an extremely pleasant small town environment. The downtown is vital and varied. The downtown is widely used by surrounding communities as the center for dining out, entertainment, and artistic performances, There are music stores, sidewalk cafes, bars, bookstores, and shops. Sports fans can cheer the Big 10 sports events held in Ann Arbor. Its name supposedly comes from a combination of the wives of the city's founders (both named Ann), and for the many groves of trees throughout the city. Photos of Liberty Street and the Nichols Arboretum courtesy of Wikipedia and photographers Traveler100 and Pentawing. The housing choices for retirees are quite varied. Its residential neighborhoods have a range of architectural styles, from classic 19th and early 20th-century designs in the older parts of town to ranch style homes further out. There is a university related retirement community, University Commons, plus many other developments and assisted living facilities that retirees would find desirable. The median price of homes in Ann Arbor are about the highest of anywhere in Michigan (where prices have been in a free fall). According to the National Association of Realtors, the median sale price of a home in Ann Arbor during the fourth quarter of 2018 was $272,100, up from $251,900 in the fourth quarter of 2017- an 8% increase. Tree Town� and 147 municipal parks; Traditional college town; A variety of housing choices for retirees; University of Michigan culture and Big 10 sports; Multiple neighborhoods to live in. The crime rate is well below the U.S. average. Willow Run Airport is 16 miles away in Detroit. Detroit Metropolitan Airport is 28 miles. Amtrak service; Ann Arbor is a little above average for walkability when compared to other cities.